Orion Health is a Health Information Exchange (HIE) and Electronic Health Record (EHR) solution provider with clients across the world. Orion Health provides the backbone of HealthInfoNet’s HIE system, including the centralized clinical data repository, integration engine and clinical portal. 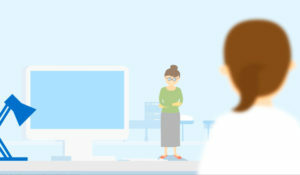 The clinical portal is set up very much like a standard EHR and is the application used by HealthInfoNet authorized users to access the clinical data repository within the HIE. Behind the scenes runs the Rhapsody Integration Engine, which offers users a unified view of patient data across all participant sites. Symedical®, Clinical Architecture’s comprehensive terminology management system, integrates with HealthInfoNet’s exchange to provide a platform for a host of services including normalization, mapping and system integration. Symedical serves as a single source for all terminology management and allows for the collection and utilization of accurate and actionable clinical information. IBM Initiate provides a common HIE registry to manage both patient and provider data across the HIE. These registries are leveraged both within the core clinical exchange as well as in providing supplemental data in support of Maine CDC disease reporting. Most importantly, its master person index (MPI) helps HealthInfoNet ensure patient records are matched correctly in the database. The application uses probabilistic matching tools to determine the ‘probability’ that based on certain demographic information, two records are for the same person. Systems Engineering provides several ongoing services for HealthInfoNet including critical care (Alerting, Reporting, Patching and Backup) of the exchange hardware and software services, managed security services including 24x7x365 monitoring, alerts and event management, data center services including system hosting, network connectivity and power redundancy, and procurement of hardware and software. HBI Solutions is a healthcare data analytics company headquartered in Silicon Valley. HBI provides a robust healthcare data platform and advanced analytic tools to give healthcare organizations actionable information to improve patient outcomes at lower cost. Thier clients and partners include statewide health information exchanges (HIE), hospitals, physician practices, electronic medical record software vendors, and management consulting companies. HBI helps HealthInfoNet and Maine providers leverage the comprehensive HIE clinical data repository to better understand healthcare delivery and outcomes improvement opportunities for Maine patients. The Surescripts network supports the most comprehensive ecosystem of health care organizations nationwide. Pharmacies, payers, pharmacy benefit managers, physicians, hospitals, health information exchanges and health technology firms rely on Surescripts to more easily and securely share health information. Guided by the principles of neutrality, transparency, physician and patient choice, open standards, collaboration and privacy, Surescripts operates the nation’s largest health information network. By providing information for routine, recurring and emergency care, Surescripts is committed to saving lives, improving efficiency and reducing the cost of health care for all. The AirWatch Mobile Security solution ensures HealthInfoNet’s enterprise mobility deployment is secure and corporate information is protected with end-to-end security extending to users, devices, applications, content, data, email and networks. 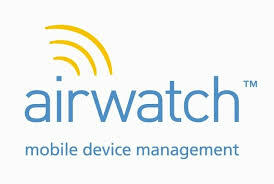 AirWatch provides real-time device details and continuous compliance monitoring to ensure devices and corporate data are secure.